If you’ve had a baby or seen a baby before… ever… you know that babies make a lot of messes. And usually at the times that are the most inconvenient [like when you’re sitting in church or cleaning the house for guests to come over]. 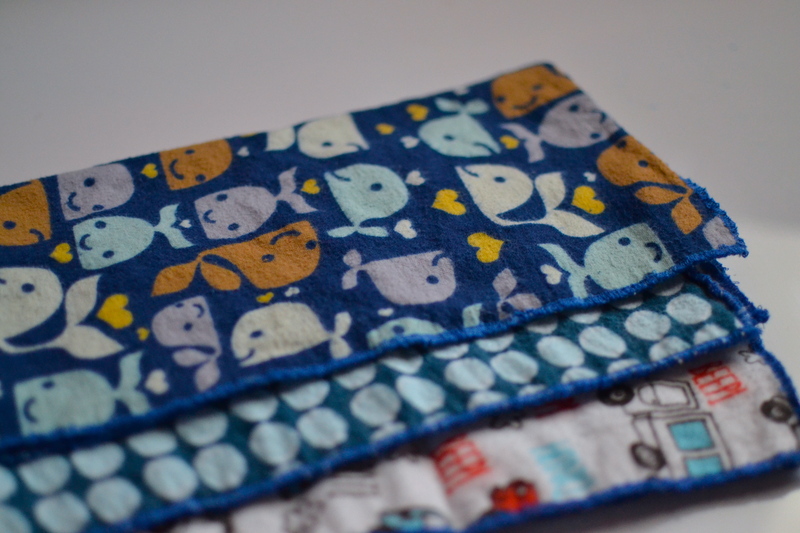 So some of the obvious baby prep for me was making more burp cloths and cloth wipes. 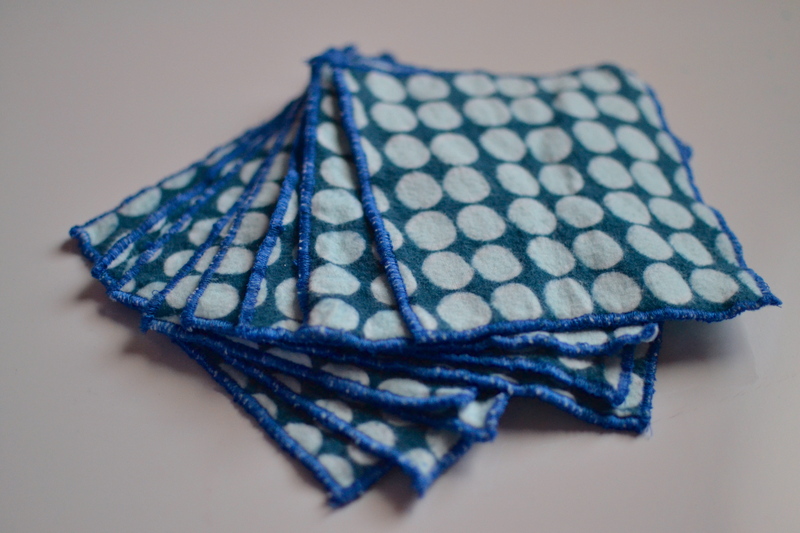 We use burp cloths all the time still – even when we don’t have babies spitting up. We use them to wipe boogies and drool and tears and … well, whatever else might need wiping. And since I’ve had the same burp cloths for more than five years, some of them are looking beyond sad. So using some of the flannel I scored from Jo-Ann Fabric’s Black Friday sale [three bolts! woot!] 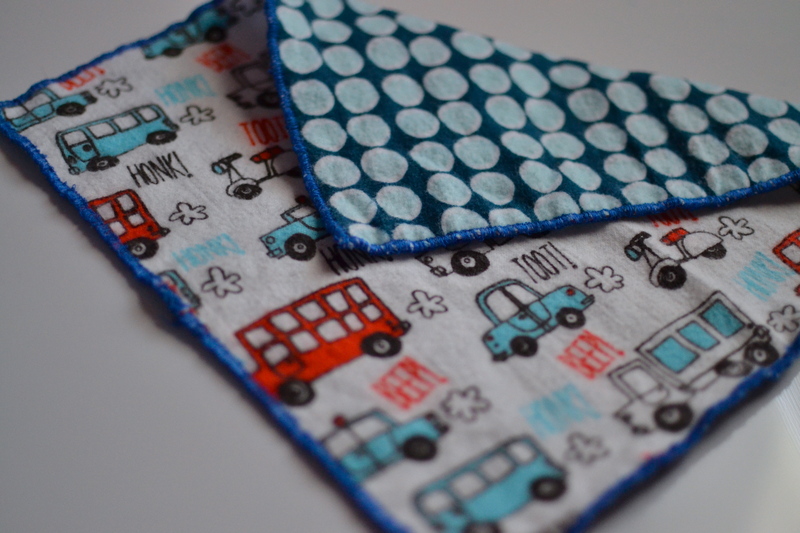 I made some easy peasy burp cloths. I just sandwiched two pieces of flannel together and used the rolled edge setting on my serger. 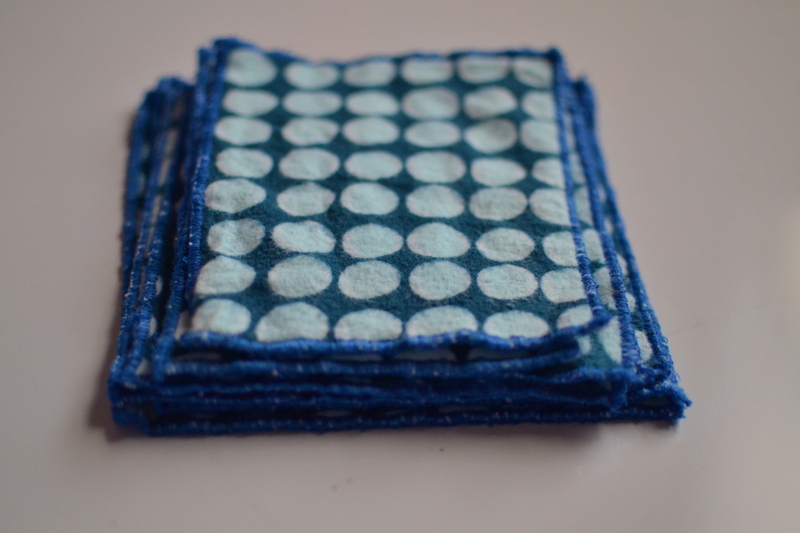 Then I whipped up a bunch of cloth wipes in the same fashion. We use these with our cloth diapers, but they’re the perfect size for washing up in the bath or after meals too. We spend very little money on baby wipes by using these, and it’s one more way to use less waste. Plus they look cuter than baby wipes! And don’t worry, if you don’t have a serger, these are still easy for you too! Make them in a similar fashion to my quilted coasters [minus the quilting step]. 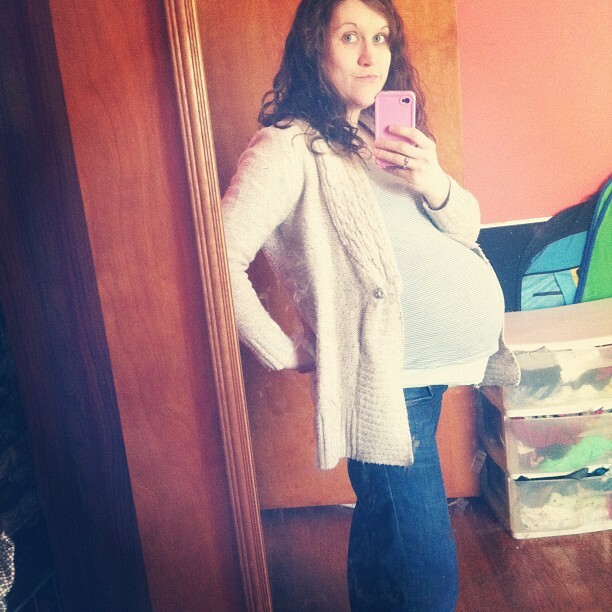 And just in case you don’t follow me on instagram… The baby belly in all it’s glory. And my “I went to the hospital in labor and they sent me home when it stopped so now I’m still waiting for this baby” face. Aw! Those last days are the hardest. But look how much amazing stuff you’ve been turning out! We used cloth wipes too with the “wipe solution” of one squirt burt’s bees baby oil, to 2 squirts baby wash, to about a cup of water. We probably *did* save a ton of money. It’s good to save money — it helps to justify spending cash on great fabric. Any day now!!!! I’m so excited to “meet” little guy number 4! i hope i get to introduce him to you sooner rather than later, andrea! sending some fluffy dust your way. hang in there! thank you!! well, it was good that i went home, since my labor totally stopped. but the waiting is harder now!